Geolocation ensures your staff CheckIn to locations only when they are there. Save and share directions to Clients and Suppliers. Connect and Engage your Workforce. Share news and drive Company culture. Manage Workforce Leave requests in a paper free environment. Chat directly to Employees to Inspire, Empower and Align. 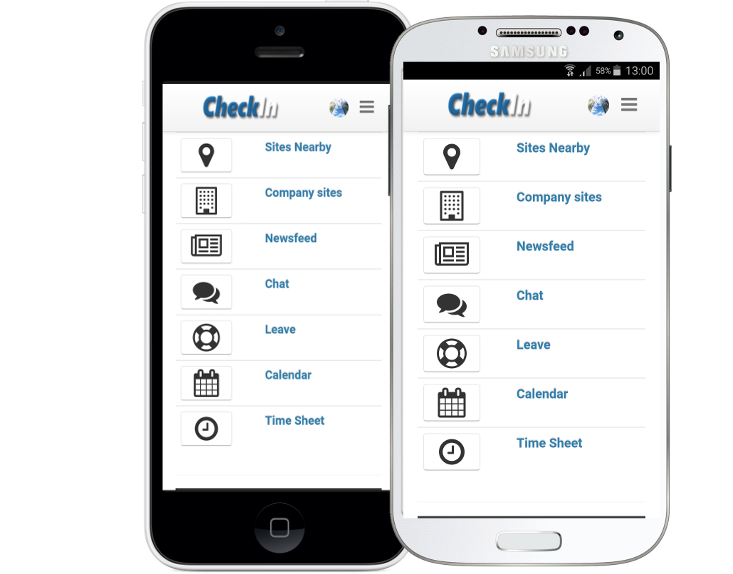 CheckIn is a mobile Time and Attendance system designed for small to medium enterprises. We use Geolocation to pin point exactly where your employees are when checking in for work. 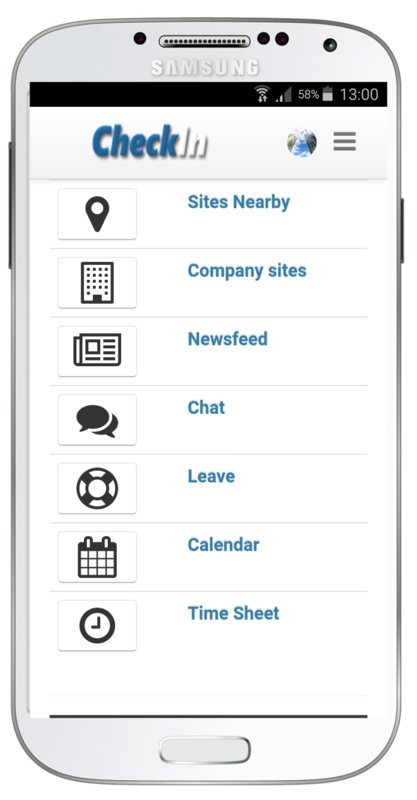 Mobile staff can add new sites on the go, when they CheckIn. Admin panel allows you to add and remove employees, push notices to staff, manage leave applications, and easily see who is at work today. 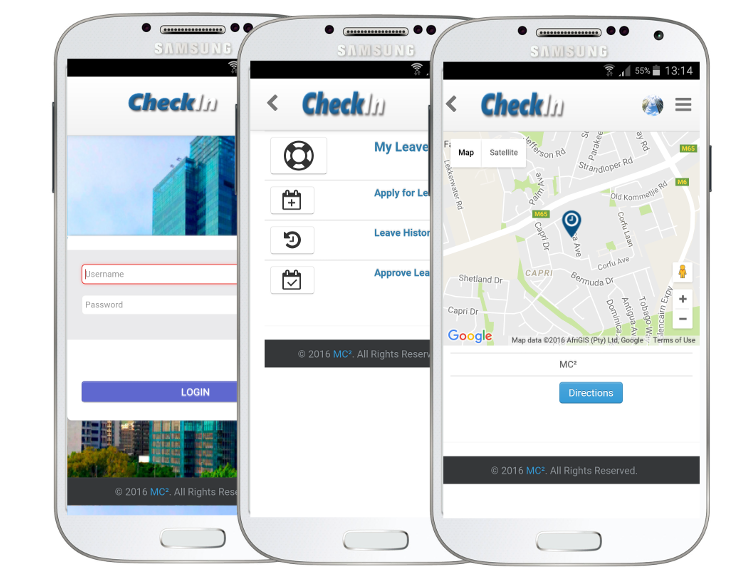 With packages starting from $20 a month, CheckIn is a very cost effective application to manage your Time and Attendance. Integrated solution allows Employees to access and manage their Time and Attandance, freeing your Business to focus on what you do best. Connect with staff to inspire, empower and align. We help your business get connected to communicate plans, share successes and recognize contributions. Register your Business via the Company Registration link, then simply download and install the app on Employees mobile devices. Once you have registered your business with us, you will be given login details to access your CheckIn dashboard. From here you are able to manage all Employees, Leave categories, Notices and run reports. Add and update employee records, Leave categories, Holidays and Notice's. 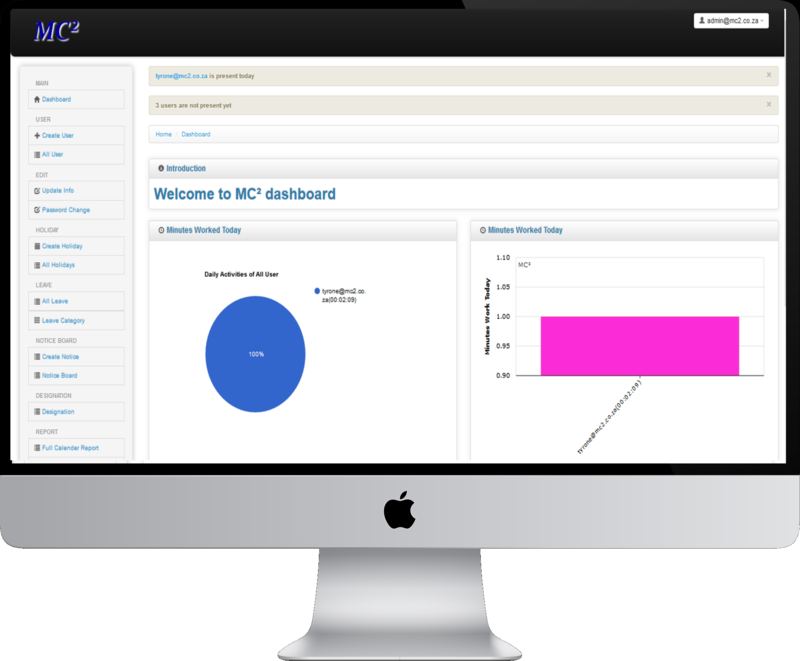 Run detailed reports on Employee time and attendance. Reports can be downloaded to PDF, CSV and Excel, which can then be uploaded into ERP systems. The CheckIn app is available on Ios and Android, simply visit the Apple App Store or the Google Play Store download and install. Download and install from the Apple App Store. Download and install from the Google Play Store. Once you have installed the App, and your company has registered its all pretty straight forward from there. Employee's added on the website dashboard will receive their login details via email. Just use these details to login to the App. To see the Demo version simply click on the menu and select Demo to login. Geolocation will locate your company site near to you. Simply click on the site name to CheckIn, or add a new Site at your location. CheckIn will automatically CheckOut Employee who leave the Site location and forget to CheckOut. 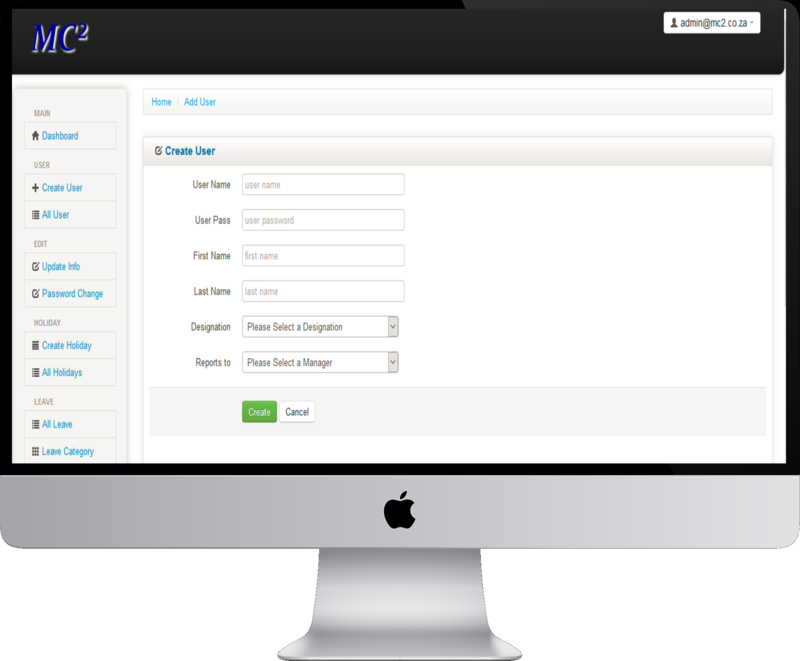 Login using the details supplied when you registered your Business. The Dashboard gives you full visibility on all your Employees, with a number of detailed reports which can easily be imported into larger ERP or payroll systems. Online documentation will guide you through all aspects of the system. We currently offer 4 Packages to choose from, depending on your requirements and Business size. All figures quoted are per month per Business and payable in advance. See below for more details. A collection of the latest Blogs added. Contact us to get a custom quote for your Business, or schedule a demo. We can have you up and running within 24 hours of receiving your completed application.